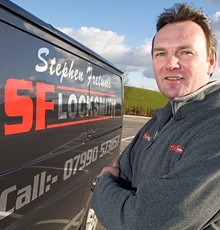 SF Locksmith provide a genuine 24 hour emergency call-out service for customers who need our services day or night. Whether you're locked out or you require a lock fitting, our friendly, family run business can be with you within the hour. Our work is guaranteed for 2 years and no payment is taken untill you are completely satisfied. Our aim is to provide customers with the reassurance that their homes are safe and secure. Therefore, all locks fitted are of a British Standard or higher and come with a two year guarantee. All lock types can be fitted whether you have a wood, uPVC, composite or aluminium door. If you are looking for extra locks to be added, this is not a problem. It could be that your insurance company is asking for a specific standard to be met. If so, call us and we will be able to help and advise on the most economic solution for you. 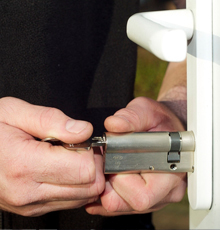 SF Locksmith are experienced, qualified locksmiths who are CRB checked and vetted by the Police. We are confident that you will be satisfied with the service you will receive. 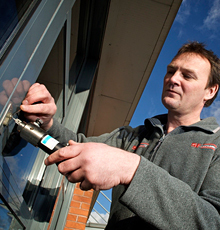 Our complete locksmith service extends to commercial properties as well. We regularly carry out work in local schools, care homes, factories and lettings agents' commercial properties to fit locks of all types. We also work with bailiffs for repossession work. Commercial locks found on doors are always carried with us, meaning your business can be secured on our initial visit. With a fast response time and a competitive price structure, SF Locksmith can save you time and money. Lost your keys, been burgled or locked out? In times of an emergency SF Locksmith can be with you quickly and fit new locks if needed, or if you are locked out we'll have you back in your home with no fuss. Our dedicated Rotherham locksmith service is second to none and the locks fitted are proven to give you the best possible future security. Call us now for an immediate response.